After winning a contest for a popular game called Wordwick Games, five teens Gemma, Sparks, Rio, Kat, and Jack, are invited to stay at Wordwick Games inventor Henry Word’s mysterious castle and play the newest level of Workwick Games. Little do they know, the castle is the doorway to a wondrous world call Anachronia where words can be used as weapons, power, and commodity. There is unrest in Anachronia, and if the five teens can follow the rules of Wordwick Games and prove to be the best player, one of them will be crowned Ruler of Anachronia. 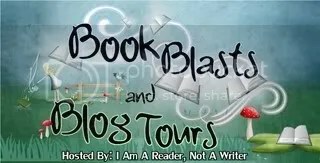 This entry was posted on Tuesday, January 8th, 2013 at 4:14 am	and tagged with adventure, blog hop, books, ebook, epub, Fantasy, giveaway, i am a reader not a writer, paranormal, teen fiction, thriller, urban fantasy, writers, young adult, young adult books and posted in Blog Hops and Giveaways. You can follow any responses to this entry through the RSS 2.0 feed. I have not read anything by Gow, But I’ve heard good things. Perhaps I need to pick something up! This sounds like an interesting book. i’ll have to check into it.